Discussing kidney physiology, medicine and science, with interludes for dogs, photography, drawing, judo, dogs and food. Elizabeth H. Blackburn, Carol W. Greider & Jack W. Szostak were announced as the 2009 Nobel laureates in medicine or physiology: "for the discovery of how chromosomes are protected by telomeres and the enzyme telomerase" (nobelprize.org). There are a 169 articles matching "kidney" AND "telomere" on Medline. So what is this Nobel Prize thing about for the nephrocentric community (except for a wide open field)? Well, experimentally it is important to realize that rodents don't show telomere attrition. Their cells still stop dividing and go into senescence, actually using some of the same proteins, but their cells telomeres does not get shorter (Famulski & Halloran 2005). In humans on the other hand there are some interesting findings. Telomere length in circulating leucocytes is correlated to kidney function in patients with chronic heart failure (CHF) (Wong et al 2009). That just says that greater biological age makes the kidneys more vulnarable in CHF, maybe even narrower, that greater biological age of the immune system puts the kidneys at risk. So, what about the telomeres in the kidneys? They do shorten with age, and interestingly shorten more in the cortex than in the medulla (Melk et al 2000). I guess this can be tied to the higher metabolic activity in the cortex, and to the lower oxygen tension in the medulla. Decreased oxygen tension has namely been shown to protect against cellular senescence, although in fibroblasts, and not in the kidney (Betts et al 2008). The mechanism that is mostly branded about is the role of reactive oxygen species, which have been shown to play a role in Cyclosporin A induced renal cellular senescence in renal tubular cells (Jennings et al 2007), as well as angiotensin II in vascular smooth muscle (Herbert et al 2007). Finally telomere length has been shown to predict graft survival in transplant patients (Koppelstaetter et al 2008). Well, that's pretty much it for this post. In short, rodents have telomers that don't get shorter with ageing. In humans they do, and they can be used to predict outcomes. Reactive oxygen species is the most important pathway for senescence and can probably be used to predict telomere out comes in humans from experimental models. 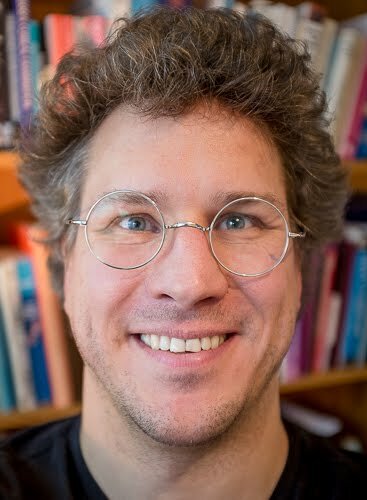 Michael is an anaesthesiologist and associate professor of physiology at Uppsala university. 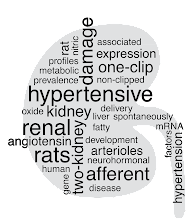 His research group work with renal function and the development of acute and chronic kidney damage.